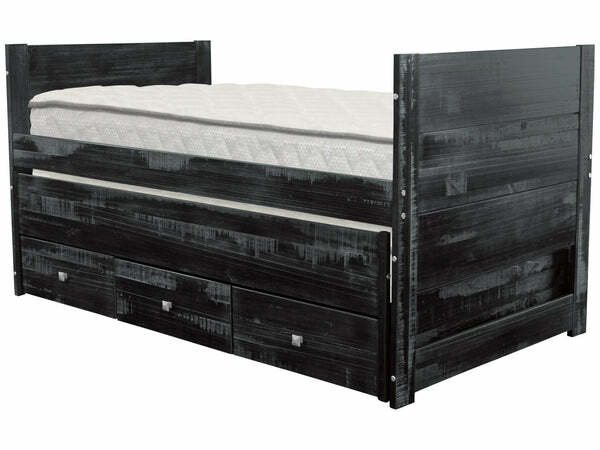 Weathered Black for a sand-washed, reclaimed wood look and feel. Not a solid black, but black with tones of gray and navy blue. The images you see represent the style of the reclaimed wood finish, but will not be an exact match to the bed you receive. Each all in one bed is individually sanded and painted so no two beds will look alike. The surface of the bed has a rough natural feel. Solid Brazilian Pine - no particle board. Weathered Black finish is child safe. 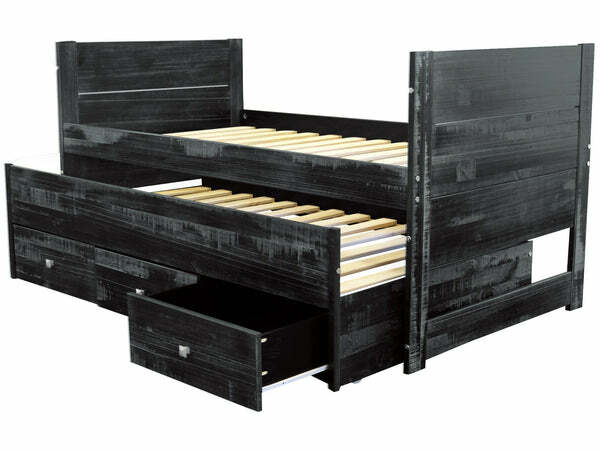 Sale is for Twin Bed, Twin Trundle and 3 Drawers only, excludes Mattresses. Sleeps 2 with 3 drawers for extra storage. 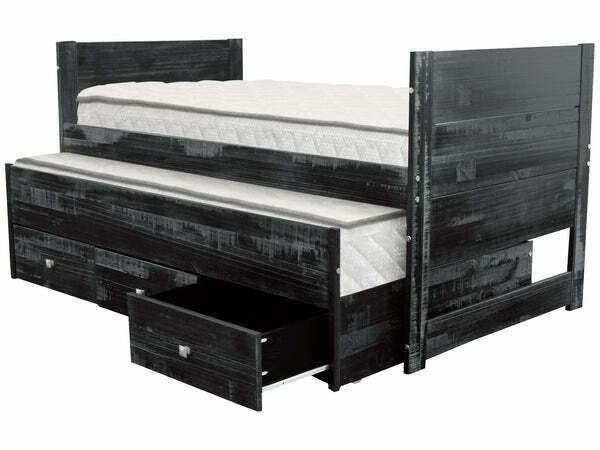 Roll out twin trundle bed accommodates up to a 9 inch mattress. 3 Drawers that are attached to the bed and slide out on metal glides. 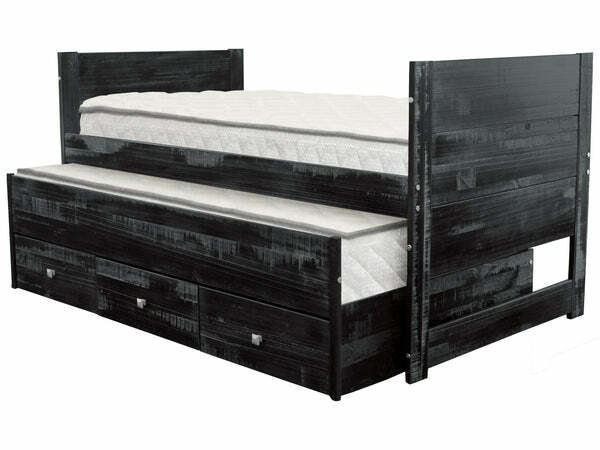 Set includes (1) Twin size Bed (1) Twin Trundle (3) Storage Drawers (1) Headboard (1) Foot Board. (26) Wood Slats. 13 for the Bed and 13 for the Trundle make the All in One Bed mattress ready. Internal measurements of the Drawers are approx 6 high x 21 wide x 19 inches deep. Internal measurements of the Trundle are approx 11 high x 73 3/4 wide x 41 1/4 inches deep. The Trundle is 12 inches off the floor, the Twin Bed 20 3/4 inches off the floor.